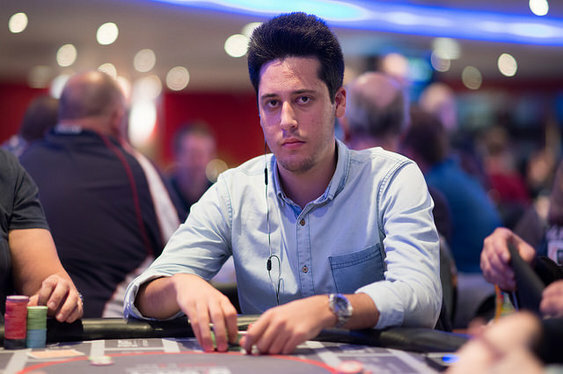 Dusk Till Dawn's second £1m guaranteed event in the space of a week got under way on Tuesday with Adrian Mateos taking the early lead in the £3,000 WPT Nottingham Main Event. Last year's WSOPE Main Event winner was one of 94 players to take to the tables yesterday and after 10 levels of action he'd turned his starting stack of 30,000 chips into an impressive 181,200. Joining Mateos in the upper reaches of the leader board by the close were 2013 Irish Open winner Ian Simpson (167,900), Morten Mortensen (128,900) and David Peters (112,900). WPT Grand Prix de Paris winner Marvin Rettenmaier's hopes of more World Poker Tour glory are intact too. The German will be back with 63,600, just ahead of Mike Sexton on 61,800. A host of big names hit the rail on the opening flight with Sam Trickett, Michael Mizrachi and Dominik Nitsche amongst the high profile casualties. They'll get the chance to fire another bullet when the day 1B action starts at 1pm today.